How Does Solar PV Work? Prime agriculture country, Fresno, California is known for its crop selection and growth, including grapes, almonds, tomatoes, and oranges. In fact, based on its excellent grape crops, Fresno has also come to be known as the raisin capital of the world. In order to grow all those crops, you’ve got to have the right climate. And the largest part of the entire climate equation is adequate sun. Which Fresno has plenty of – with above average solar power. It should be no surprise then that the emergence of the city’s solar industry is also booming – just like its crop selection. 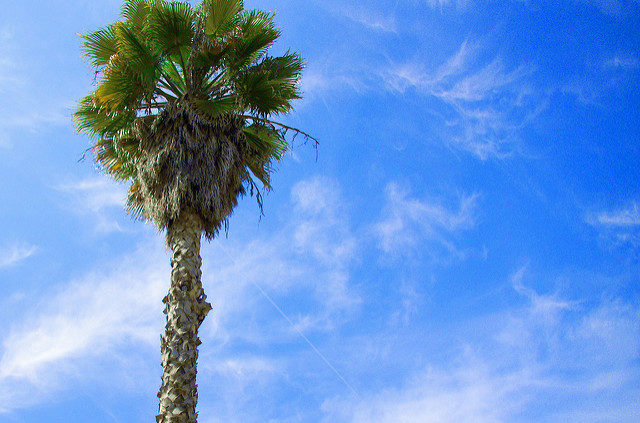 With a sunny climate for 73% of the year, it’s no wonder why crops thrive in Fresno. And with almost 3 quarters of the year under full or partial sun, it’s no surprise why the solar industry is also thriving in the Central Valley. Fresno enjoys 267 sunny days per year, with a year-round average of 5.38 sun hours per day. Over a year, Fresno sees a total of 1,436 sun hours – almost 1,500 hours your solar energy system can be harvest sunshine for significant energy savings. And with the high grid costs that Fresno experiences ($0.17 per kilowatt hour – much higher than the national average) and the constant rise in electricity costs (this rate has risen 13% in the past 5 years alone), why not capitalize on the abundant sunshine that Fresno residents get to experience? What Will It Cost You to Install Solar Panels in Fresno? At $4.04 per watt, the average solar energy system in Fresno (averaging about 5kW) will run you about $20,950. I know you’re probably thinking that’s pretty steep, but with some pretty impressive federal and state-level solar incentives, you’ll soon see that price decrease significantly. Let’s break down the cost a little further. Even though Fresno has one of the highest costs of electricity in the country, this makes solar energy even more appealing. Why? Because the higher costs make the time it takes to payback the cost of your solar energy system must shorter. And, if you pay the system off more quickly, the sooner you’ll be recovering pure profit from your system. Recent statistics indicate that average yearly savings you’ll recoup from your solar energy system is about $1,656, with an average payback period of 8 years. After 8 years, you’ll be pocketing pure profit. And considering your solar energy system has a lifespan of over 25 years, you’ll be able to profit around $35,000 over the life of your system! As mentioned previously, the average price of a 5kW residential solar energy system in Fresno is a little over $20,000. But, with the federal tax incentive available for solar energy customers, this price will drop 30%. That’s right, 30%! If you install a solar energy system by December 31, 2019, the Residential Renewable Energy Tax Credit allows you to take 30% off the total price of your solar energy system, including solar installation. And, there’s no limit on the price! No matter if your system is $5,000, $10,000, or $30,000 – you get 30% off. For the average $20,950 estimated price of a solar energy system in Fresno, once you apply the federal tax credit, you’ll get to take $6,285 off the price right off the bat, bringing the total cost down to $14,665. What a difference! But, the offer expires on December 31, 2019, so if you’re thinking about installing solar panels, you might want to get started sooner than later. At the state level, California has a pretty aggressive Renewables Portfolio Standard (RPS) – with a mandate of 50% of energy coming from renewable sources by 2030. California comes behind Vermont and Hawaii as having the most stringent RPS, and is tied in third place with New York. California allows net metering to be used – a way to feed back any unused solar energy into the grid. You are then credited for the amount you feed back into the system, meaning your energy bills from the grid, in addition to the solar power you generate at your residence, could make your total energy bills bottom out to $0! The California Solar Initiative (“CSI”) was initiated to encourage the development of solar power – precisely 3,000 MW by 2017. Though, the state’s three largest utility companies (PG&E, SCE, and SDG&E) are no longer offering rebates because they have exhausted all of their resources. Solar rebates by state and local level are hard to estimate in general because of fluctuations in price, availability, and incentives, though the Database of State Incentives for Renewables and Efficiency breaks its down for all available incentives by county. California alone has 256 policies in the database, so you can see why it’s hard to give a precise estimate. Additionally, your solar companies will help you figure out all available rebates during consultation. Who Do You Call to Install? The best advice when shopping for solar panels is to shop around. Don’t settle on the first company you get to – even if their rates seem too good to be true. Because installing solar panels is such a customized process, it’s best to get multiple quotes from different companies and to see what each company has to offer over the other one. 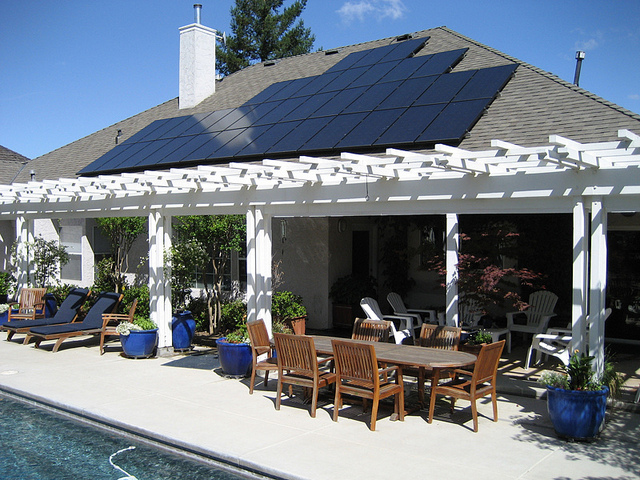 The following are some of the most highly rated solar energy installation companies in the Fresno area. Locally owned and operated, Nova West Solar offers the best value and lowest solar rates, starting at 6 cents per kWh. And, they do everything in-house - design, engineering, and installation. Nova West Solar has a full in house Customer Care team that will plan out your installation and coordinate all processes of your installation, including inspections, design, and engineering teams. The Customer Care team also plans all building and utility inspections as well as securing all interconnection approvals with your utility provider - for both commercial and residential properties. Infinity Energy only uses panels made in America - partnering with SunPower, one of the leading solar panel companies in the business - they make not only high efficient panels but ones with the best warranties in the industry. Infinity Energy believes in the customer and knows that the customer comes first. And they also believe in giving back to the community. For every solar system installed, they'll feed two families for a week through local food banks. 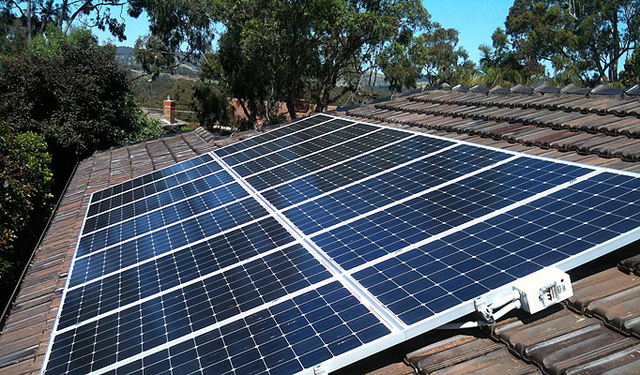 Local to Fresno, CA, Energy Concepts has specialized in solar panel installation for the past 23 years. They take the time to answer each client's questions about solar installation and even service other companies' installs. Many companies ignore post-installation service, but Energy Concepts prides itself on providing their full attention through each step of the process - from initial consultation, to installation, through post-installation monitoring and maintenance. They only work with materials manufactured in North America and Europe to make sure that you get high-quality solar panels and do product installs on residential roofs, metal buildings, and ground mounts. Arise Solar's mission is simple: to provide clients with excellent customer service, quality installation, and flexible financing options. They educate their clients about all the options solar has to offer so they can start saving money. Partnering with multiple vendors, Arise Solar offers SunPower panels, some of the best performing panels in the industry. They offer custom solutions, design guarantees, excellent customer care, and competitive pricing.